While the global economy languishes, one place just keeps growing despite failing banks, uncertain markets, and high unemployment: Silicon Valley. In the last two years, more than 100 incubators have popped up in the high-tech capital, and the number of angel investors has skyrocketed. Today, 40 percent of all venture capital investments in the United States come from Silicon Valley firms, compared to 10 percent from New York. 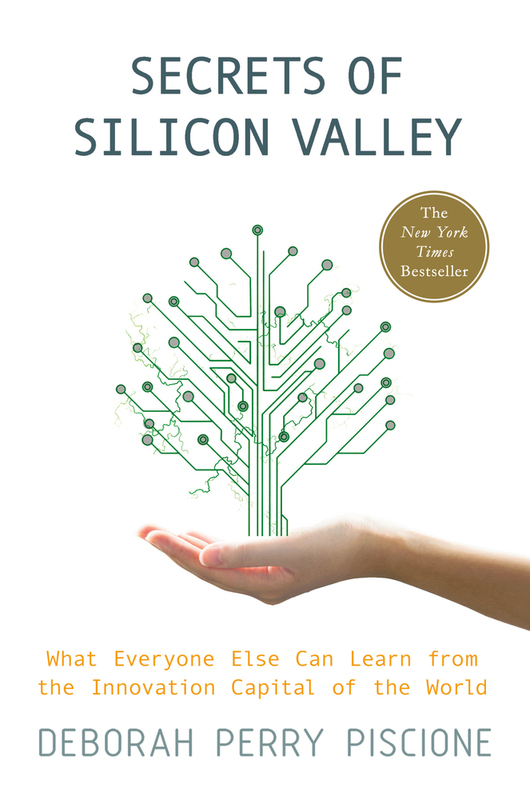 In Secrets of Silicon Valley, entrepreneur and media commentator Deborah Perry Piscione takes us inside this vibrant ecosystem where meritocracy rules the day. She explores Silicon Valley's exceptionally risk-tolerant culture, and why it thrives despite the many laws that make California one of the worst states in the union for business. Drawing on interviews with investors, entrepreneurs, and community leaders, as well as a host of case studies with technology and Internet companies, from Google to Paypal, Piscione argues that Silicon Valley's unique culture is the best hope for the future of American prosperity and the global business community and offers lessons from the Valley to inspire reform in other communities and industries, from Washington, DC to Wall Street. Deborah Perry Piscione is CEO of Alley to the Valley, an organization that networks the world's most influential women for dealmaking, and BettyConfidential. She is also a commentator on CNN and NPR, and has appeared as a guest on the Today show, Wolf Blitzer Reports, The O'Reilly Factor, Hardball with Chris Matthews, and Politically Incorrect, and has been a featured guest on PBS, BET, and NPR programs including The Tavis Smiley Show. Piscione has won numerous awards, including the 2009 Silicon Valley Women Business Owner of the Year, a Gracie Allen Award for her participation in a debate for NPR's Justice Talking, and a distinguished award from The White House Project. She has been featured in leading women's magazines such as Ladies' Home Journal, and in newspapers including The New York Times, Chicago Tribune, and Dallas Morning News. She lives in Silicon Valley, California.